B3 Canada - Building Breakthrough Boards For A Diverse & Inclusive Canada. Building Breakthrough Boards (B3) Canada is a purpose-driven social enterprise dedicated to increasing diversity and inclusion in businesses through nonprofit board service. We are matchmakers between businesses and nonprofits. We match and train employees to serve on nonprofit boards. We promote diversity & inclusion in businesses through nonprofit board service. Our innovative, high-impact Board Matching Program sharpens employees’ leadership skills and provides them with diverse experiences and ways of thinking crucial for innovation. A clear triple win for businesses, their employees and the nonprofits they serve. With this hands-on leadership opportunity, your employees develop their talents and diversify their experiences to become dynamic leaders for a changing world. Together businesses, their employees and nonprofits Build Breakthrough Boards for diverse and inclusive workplaces. As a force of good, businesses can develop their leaders through diversity and inclusion programs while building stronger communities. B3 helps businesses achieve this through the Board Matching Program. As a force of good, nonprofits need to get the right people on their boards. B3 helps nonprofits achieve this through the Board Matching & Training Program - - - free of charge. As agents for positive change, professionals want to serve on nonprofit boards. B3 helps professionals achieve this through the “Leaders on Board” eLearning Program. Businesses, professionals and nonprofits are all forces for good. Together they create inspired leadership. Together they Build Breakthrough Boards for diverse and inclusive workplaces. "We were in need of quality board members and were having a hard time connecting with the right individuals.The B3 team was very professional. The candidate was well suited. Communication was easy and the process was efficient. Extremely cost-effective for the organization (there were no costs). I am very happy with their services. 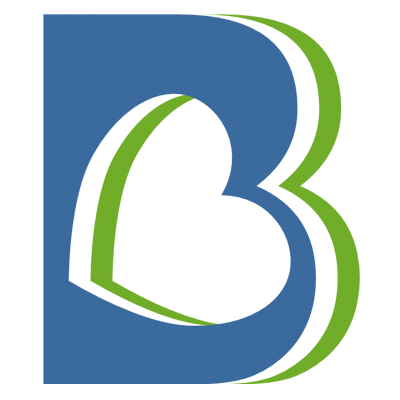 I would recommend B3 to my colleagues in the nonprofit sector." Diversity and inclusion strengthen Canada. As a country built by immigrants, Canada continues to welcome immigrants from all over the world with open arms. Through diversity and inclusion, we create a sense of genuine belonging and connectedness. Through diversity and inclusion, we build stronger communities and more successful businesses. We build a better Canada. Shell Canada believes that in a country as large and diverse as Canada, we are stronger, happier and more productive as a community when we respect, value and support one another. B3 Canada is thrilled that Josephine Yam, our CEO & Co-Founder, was selected as one of the RBC Top 25 Canadian Immigrant Award winners! This prestigious award is a people’s choice award that celebrates "inspirational immigrants who have contributed to Canada and are helping to make our country a better place to live in”. "I am so honoured and humbled to receive this award", said Josephine. "It's an amazing validation in support of B3's mission of building a diverse and inclusive Canada". Serving on a nonprofit board involves a serious commitment of time and talent. To be successful as a board director, you need to know the principles of nonprofit governance, the role of the board, the responsibilities of board directors and how an effective board operates. Join us for this one-hour session (including 15 minutes for Q&A), as lawyer Josephine Victoria Yam walks us through the fundamentals on how to succeed as a nonprofit board director.